Raymond van Barneveld will take on Ian White in round one of the PartyPoker.com World Grand Prix in Dublin. ‘Barney’, who has been runner-up in the £350,000 tournament twice in recent years, faces Stoke star White on Tuesday October 9 at the Citywest Hotel. The winner of their first round clash is set to play either Wez Newton or Ronnie Baxter in the last 16. 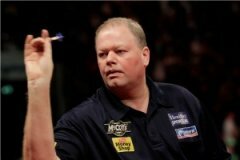 Raymond van Barneveld progressed into the quarter-finals of the PartyPoker.Net European Championships in Germany, after coming out on top in a fabulous battle with fellow Dutchman Michael van Gerwen. 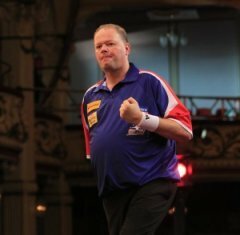 Both players averaged over 100 in a wonderful match, which provided an exhibition of high scoring and clinical finishing, with van Barneveld eventually triumphing 10-9. “What a game,”said ‘Barney’, who hit finishes of 136 and 156. “Unfortunately there can only be one winner and today that was me. Michael will come back and do even better. van Gerwen opened with an elven dart leg against the throw, but ‘Barney’ broke back immediately, hitting two 180s in the process. He followed that up with a neat 76 checkout before van Gerwen took out 70 in reply. ‘Mighty Mike’ then produced another fine checkout, finishing 89 on the bull, as both players headed into the first break with perfect records on their doubles. ‘Barney’ just missed the bull for a 121 checkout, the first double he had missed in tournament, but came back to hit double four to break and level the match at three legs apiece. The five-time World Champion moved ahead with a stunning 156 checkout, which he followed up with a neat 96 finish, as he moved into a 5-3 lead. van Gerwen took out 85 for a break, to reduce the deficit. And the 23-year-old levelled up, hitting double four to make it five all, before van Barneveld edged back in front with a hold. ‘Mighty Mike’ checked out on 68 in two darts to tie the match once more but Barney regained his lead again, producing a brilliant 136 finish. van Gerwen replied with a fabulous checkout of his own, hitting two treble 18s and double ten to pick off 138.
van Barnveld took an 8-7 lead by hitting double four, before grabbing a vital break to move within a leg of the quarter-finals. Both players hit 180s before three missed darts at double ten by ‘Barney’ allowed van Gerwen to break and keep himself in the match. ‘Mighty Mike’ then took out 68 to force a decider, in which van Barneveld threw first. And ‘Barney’ made that advantage count, hitting another 180 on his way to victory in what was a sensational match. Raymond van Barneveld produced a stunning performance to sweep aside Terry Jenkins in Germany, recording his highest ever televised average en route to a 6-1 triumph. ‘Barney’ didn’t miss a single attempt at a double as he stormed into the second round of the PartyPoker.net European Championship, where he will face compatriot Michael van Gerwen on Saturday evening. 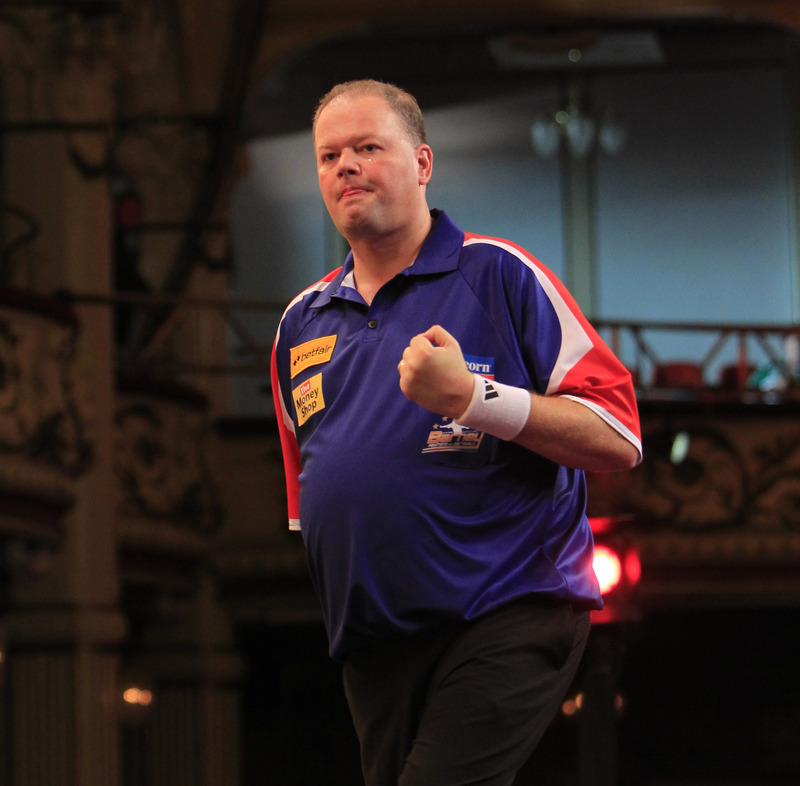 “I prepared properly to face an awesome player in Terry,” said van Barneveld. “I have changed my darts and they are going really well for me. The players exchanged 180s in the opening leg, which ‘Barney’ won against the darts. The popular Dutchman followed that with a brilliant eleven dart leg, before Jenkins pulled one back. van Barneveld hit another maximum to set up double top in the fourth leg, and he needed just one dart to increase his lead to 3-1. He then took out 68, followed by 52 to go 5-1 in front. And the five-time World Champion finished the job, setting up his winning double top with 171. Enjoy The VIP Experience, Tonbridge with Raymond van Barneveld, James Wade and more on Oct 20. Click here to book now.